BullGuard Internet Security 2019 is an easy to use and reliable security suite that delivers maximum security with minimum system impact. It provides robust, layered protection and able to safeguard you against all online threats such as viruses, worms, trojans, adware, scareware, and other malicious programs. Its AntiVirus technology includes cutting-edge behavioral detection, which spots new viruses because of the actions they take on your computer and stops them before they can do damage. Together with signature-based detection, which identifies the ‘signatures’ of known malware, it provides a multi-layered defense system that’s virtually impenetrable. 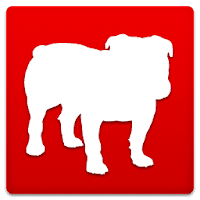 BullGuard IS also offers a powerful parental control that helps you to protect kids from cyberbullying and predators, an advanced online backup feature to keep your most important data, photos, and music - safe (from BullGuard directly to your Dropbox, Google Drive or OneDrive accounts) and a PC Tune Up tool that removes unnecessary files and frees up memory to optimize your computer. Disclaimer: Direct downloads for the lastest version of BullGuard Internet Security 19.0.365.0 are provided by the official software's author, we can't guarantee safety, availability or download speed. Moreover, we don't and we won't provide any pirated/illegal versions or tools. We recommend you to avoid it as these methods can harm your device. If you like the software, buy it to support the developers. (We provide software discounts for many worldwide brands).